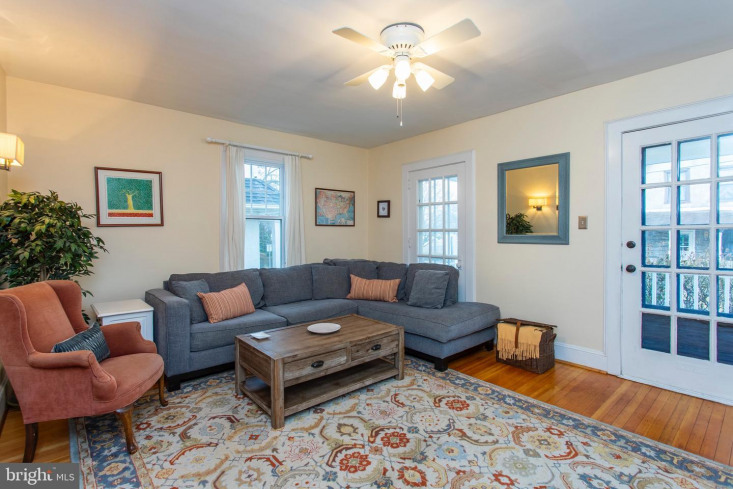 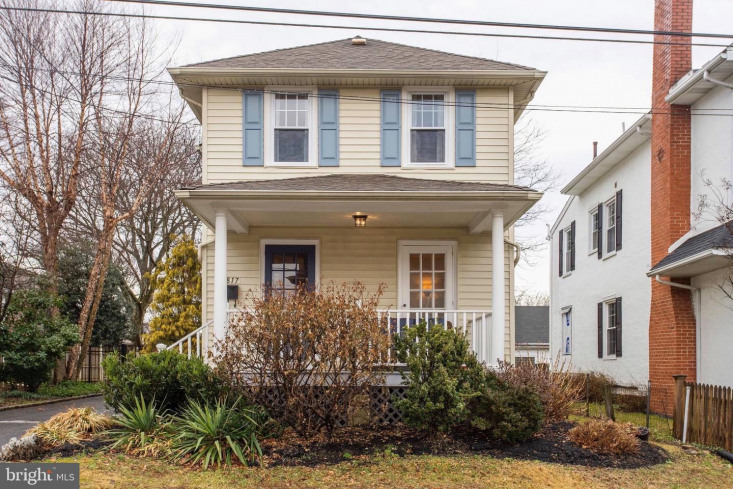 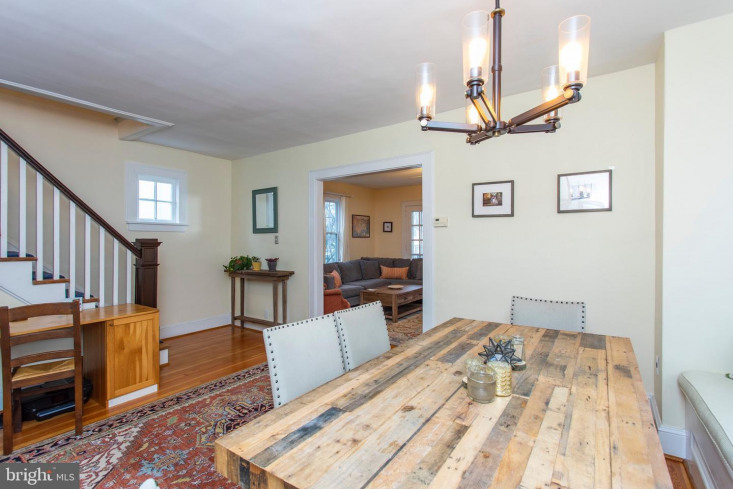 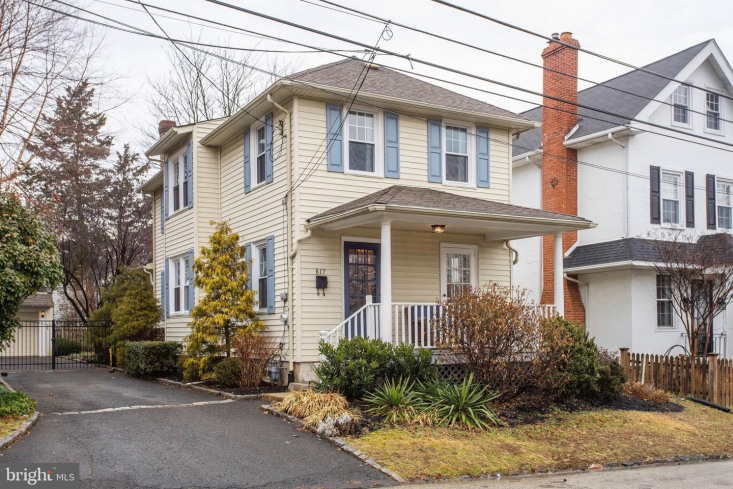 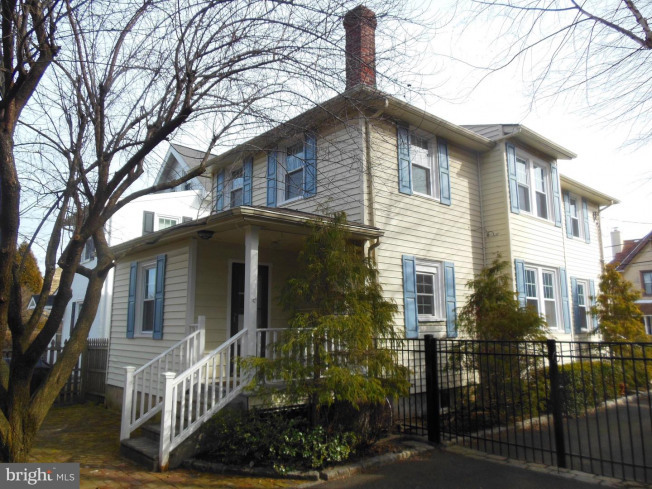 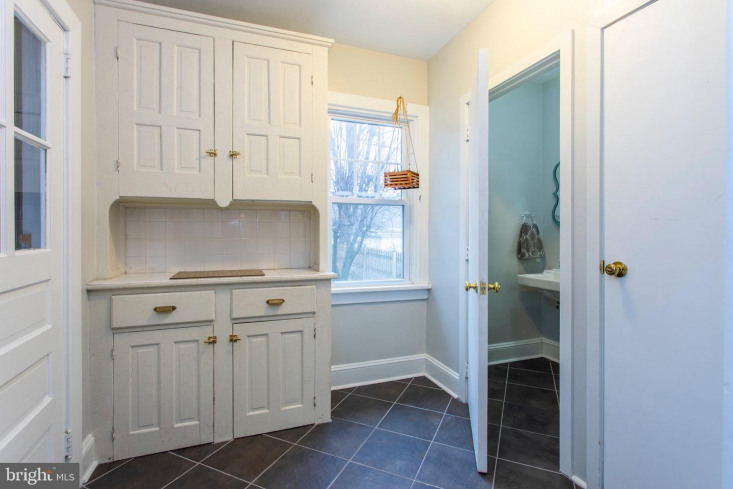 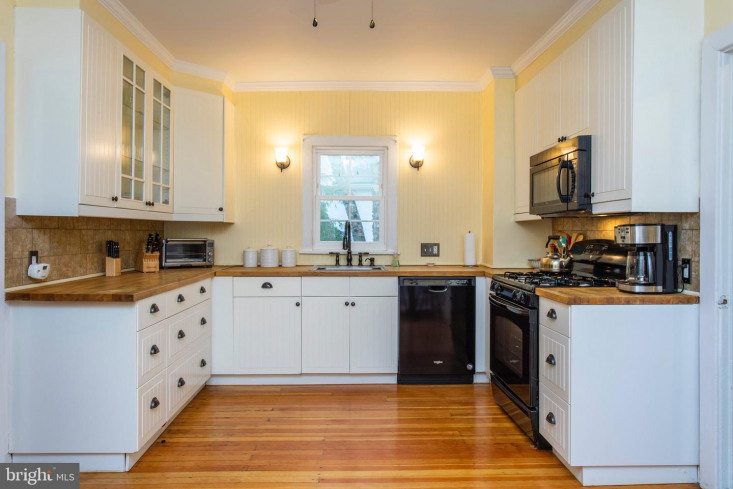 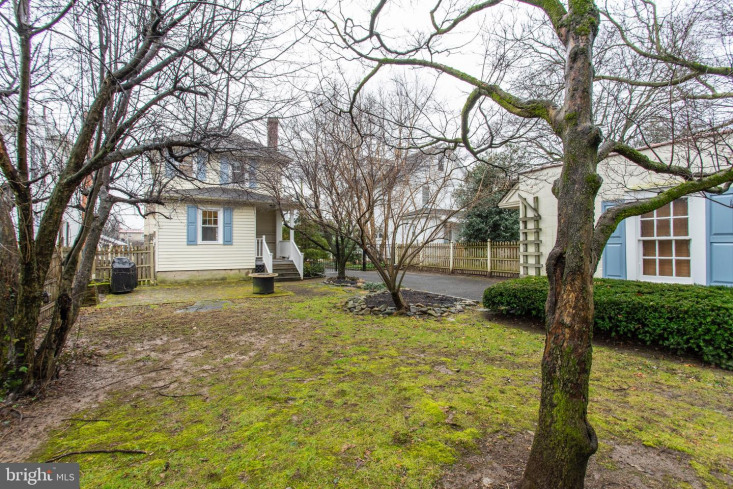 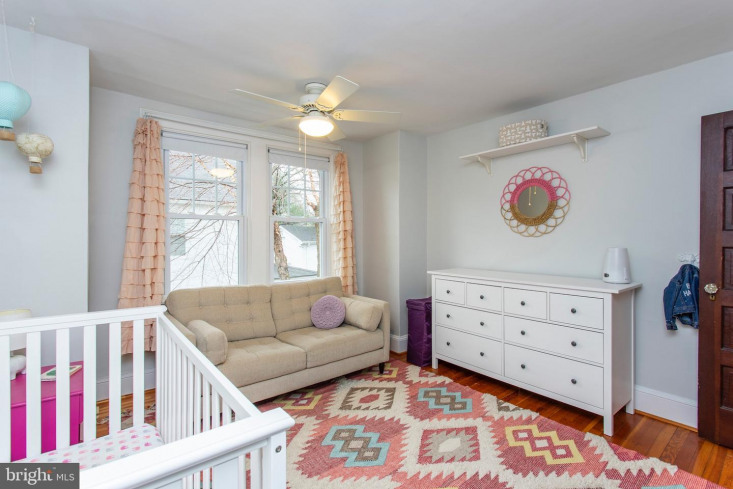 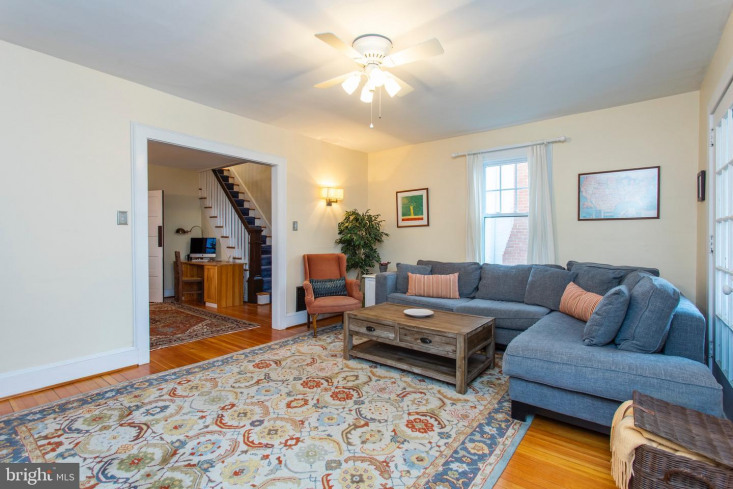  Great condition, exceptionally appealing 1900 two story 3BR, 1.5 BTH Farmhouse with bright interior, great EIK, C/a, 2 car garage, fabulous backyard, in the heart of Wyndmoor. 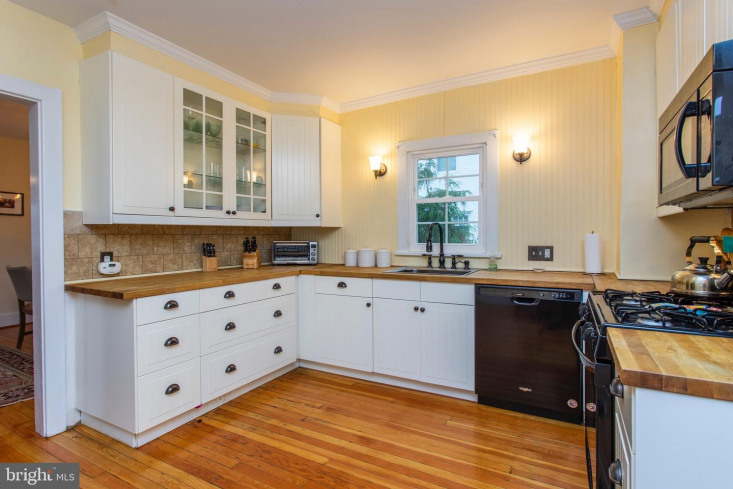 Big 2011 eat-in kitchen with white cabinetry/butcher block counters/tile backsplash is a perfect gathering spot. 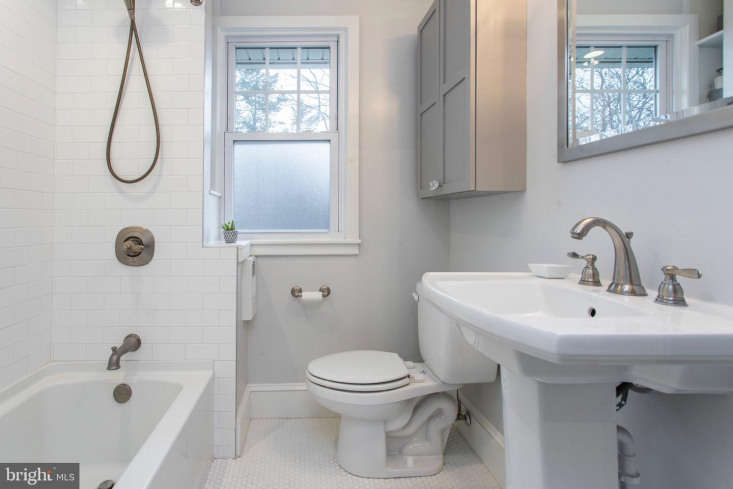 Crisp 2018 2nd floor bath. 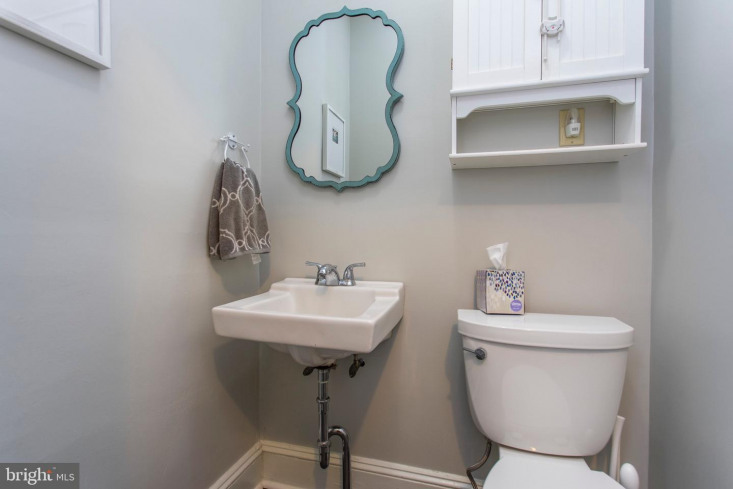 Big updated 2015 1st floor powder room. 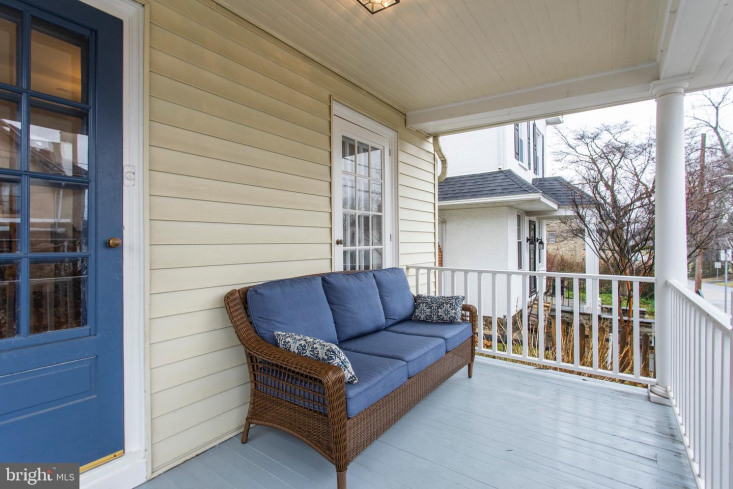 Open front porch. 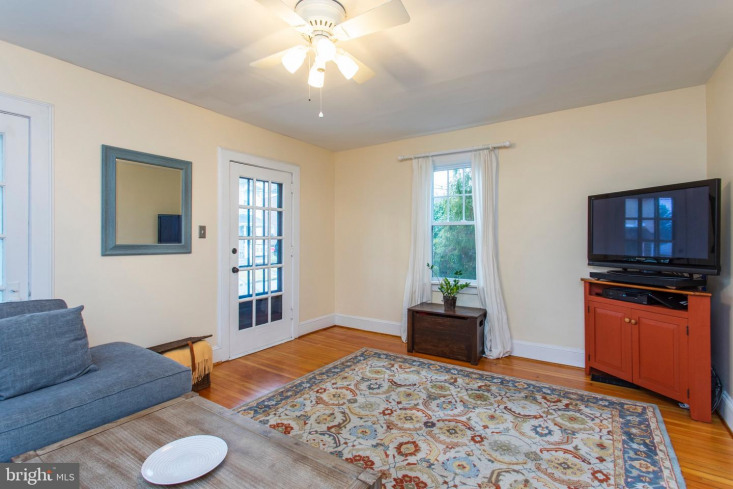 Inviting living room with glass doors to porch. 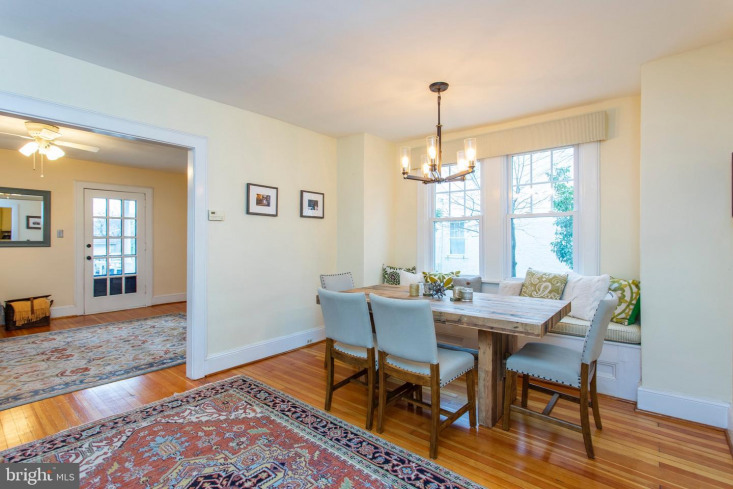 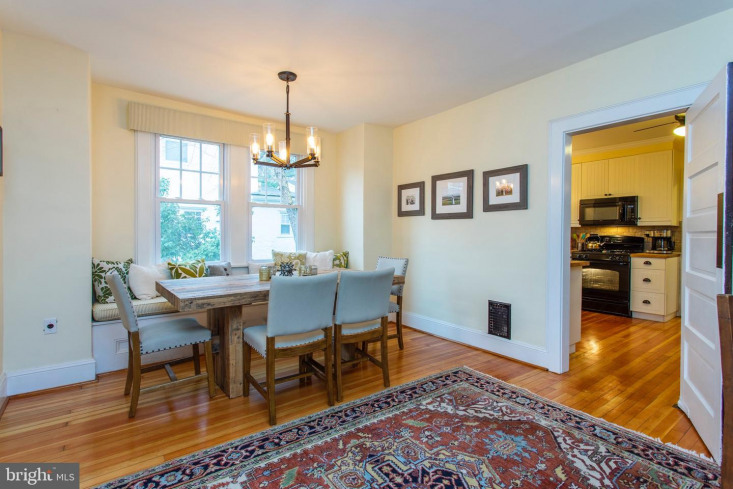 Beautiful, big dining room with bay window and wide window seat; pretty stair to 2nd floor. 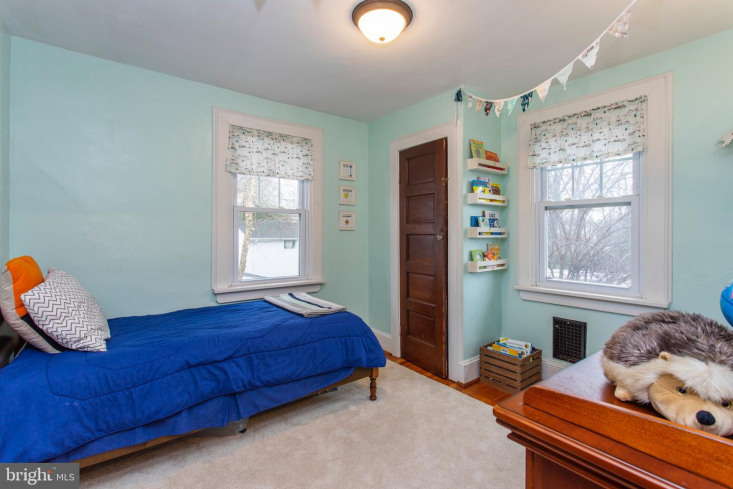 Great mud room off kitchen with original built-in cabinet and walk-in pantry/coat closet, powder room, door to small rear porch. 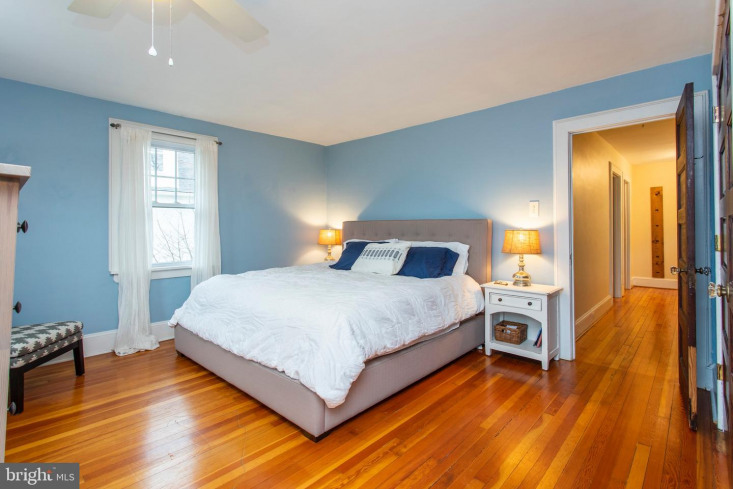 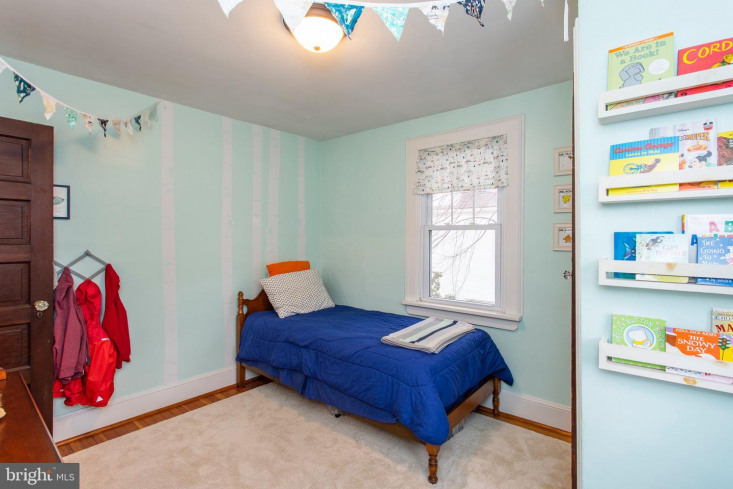 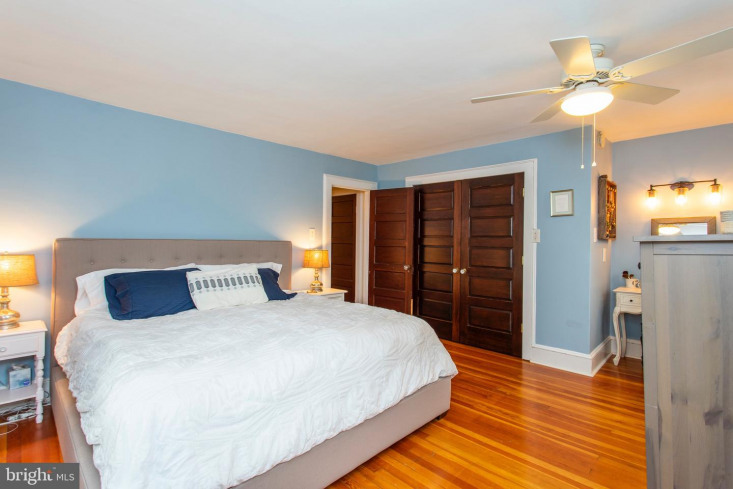 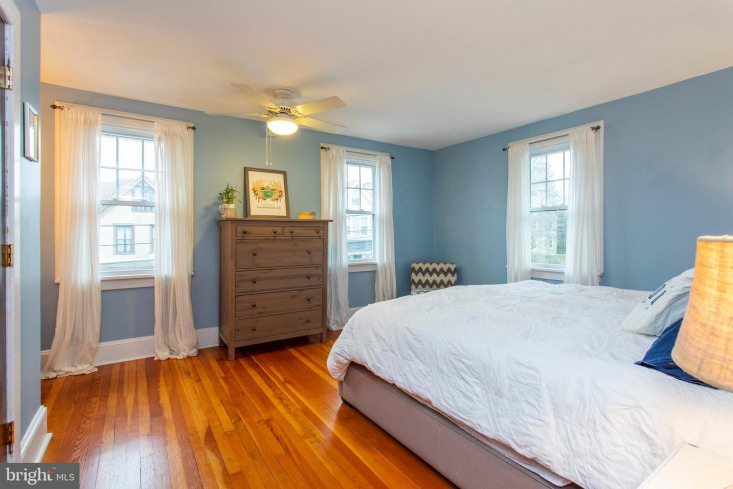 The second floor has three bright, very attractive bedrooms -- the front master bedroom has a custom double door dressing closet; hall with deep linen closet and pull down stair to partially floored attic storage. 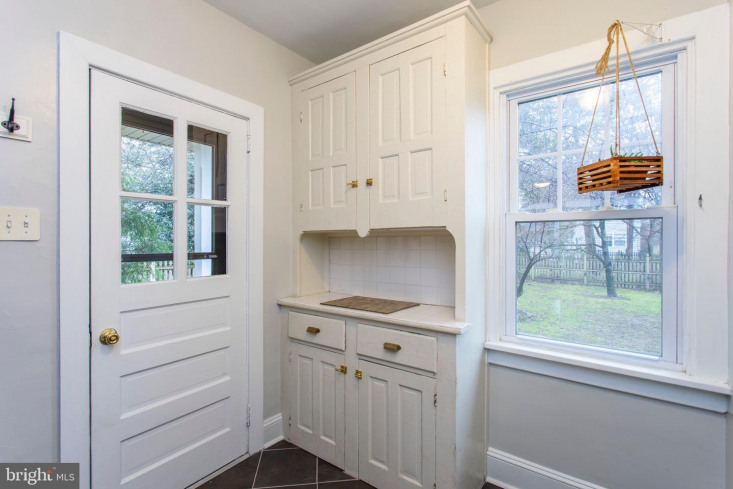 High ceilings, wood floors, newer windows, C/A. 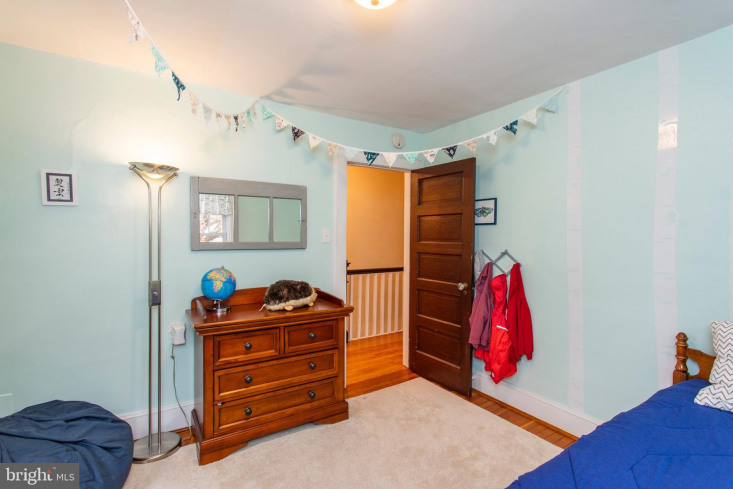 Pleasant, freshly painted basement. 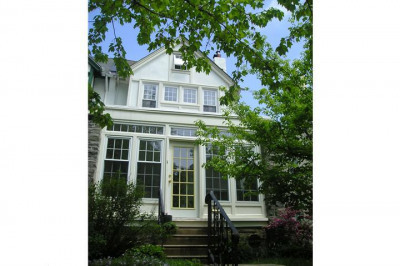 HVAC service contract transferrable to buyer. 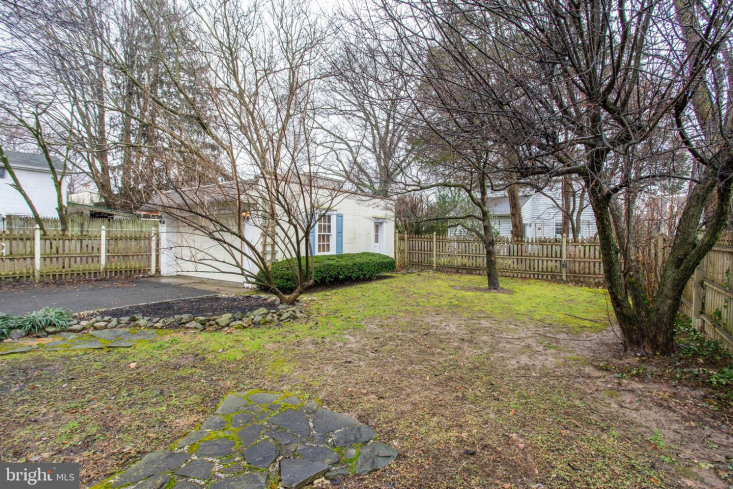 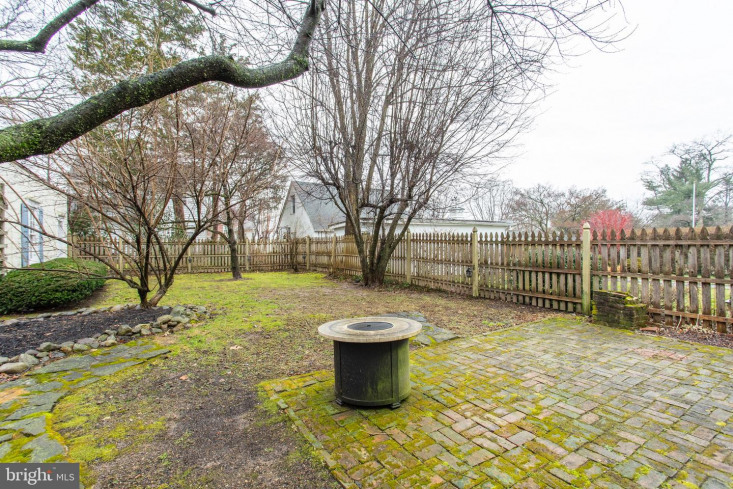 Very pretty fenced back yard with reclaimed brick patio and room for play. 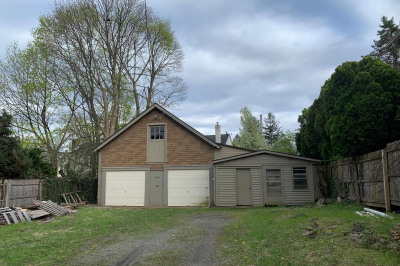 2 car garage with newer roof plus block edge driveway for many cars. 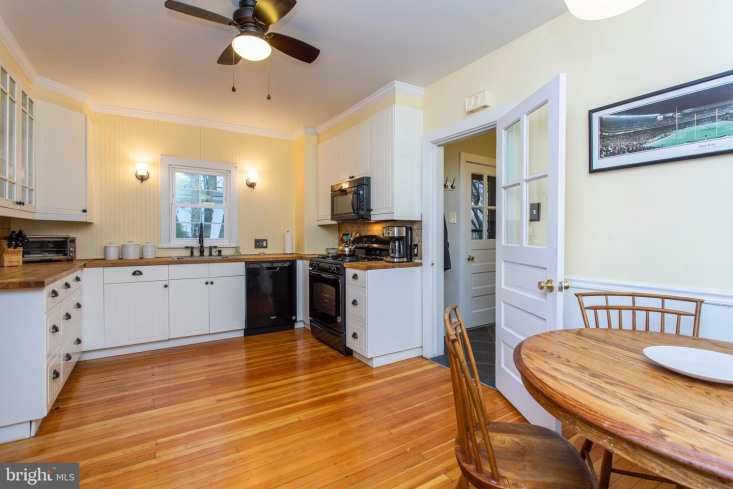 This move-in condition property offers original architectural interest, immaculate bright spacious interior, comfortable amenities. 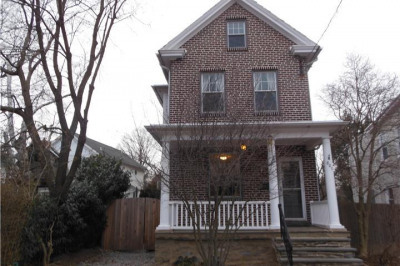 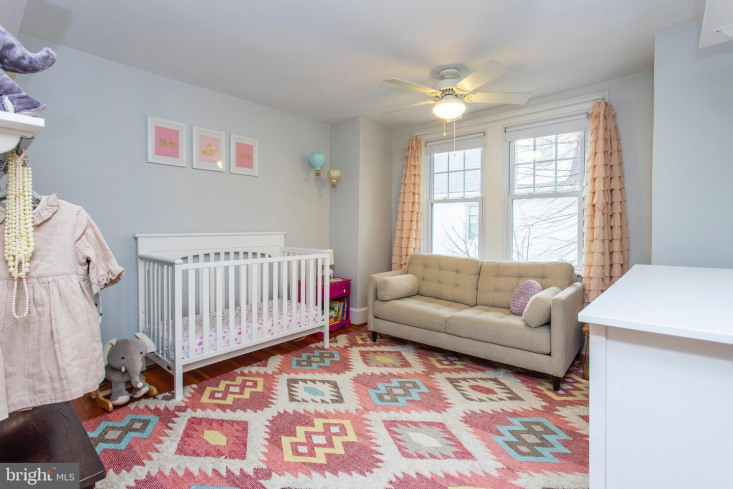 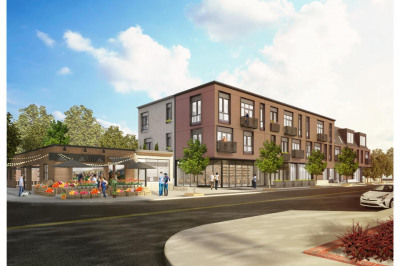 Desirable location close to the developing Wyndmoor town center, township parks, Chestnut Hill shopping/resturants, train to center city, major roads.